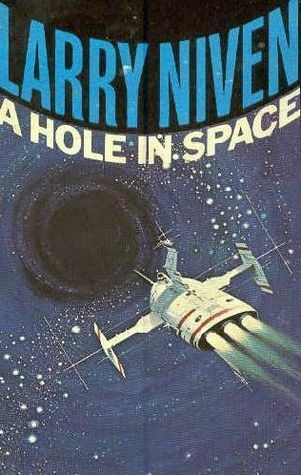 one of Niven’s collected works books – along with several others. In fact it has the same character, Barry Jerome Jansen, who appears in many of them. – the novella – was a bit wonky to start. There seemed to be some anachronistic bits in there… some mentions of old tech and then new. I’m sure this comes from ‘revising’ a 40 year old story. For instance, the backstory of Jansen’s rise to becoming a ‘newstaper’ seemed strange to me. Its like a news-hound concept, a roving reporter who wanders around trying to find ongoing news stories. That concept is somewhat dated in general, but it was ‘updated’ in this story to tie it in with previous ones. It worked ‘ok’, so I gave it the benefit of the doubt and moved on, but there is a ‘wonkiness’ to it that still feels odd. That aside, the story is well written, with Niven’s usual pin-point character development. The story itself is woven around the technology of the teleporter booth; its origin, its good and bad repercussions, and an ongoing issue that Jerryberry is caught up in. All in all, it was a great sci-fi piece to read. 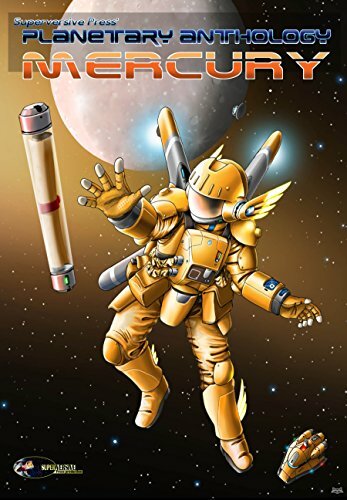 was a story written to showcase the wonders of the rapid mobility that teleportation provides, while also revealing details about the development of the long-distance version of the teleportation booths, and its use for space travel. It’s a decent story, quick and exciting, but nothing spectacular. is an interlude story involving the same main characters from Red Tide, but this time it’s the inventor of teleportation on his death-bed revealing an untold secret from the beginning of the program. It’s an interesting story, but again nothing spectacular. is well named. It accurately describes what happened to my brain when reading this novella. It takes you from the start of the expanded space program to a far future. It jumps… sometimes randomly… all over the place. And yet, it was still a very good story. The reason is that all the scenes it jumped to were very interesting… only you don’t get to stay in any one long enough to fully grasp its import before you are whisked away to another – also interesting – place, event or concept. Due to this, the characters were very thin as well. There was a lot of humor in the tale, which I very much appreciated. This is one I would like to see expanded upon someday. Unfortunately, if you jumped in and just picked this one up without having read the others, it would fall flat and probably be hard to understand. It is not a stand-alone story. So, for me this book was a win. I give it 3 stars and call it an engaging read. You should check it out, and also find and read the other stories Niven wrote in this ‘flash crowd universe’. and can all be found in the ‘A Hole In Space’ anthology.